A meal eaten as breakfast, lunch and dinner that raised generations and generations of Greeks, giving them longevity and well-being! It is cooked as a soup with either meat or plain feta cheese and bread. A quick and easy soup, tasty and toning, a soup full of aroma that awakens childhood memories relating to family. That warms our heart and soul. 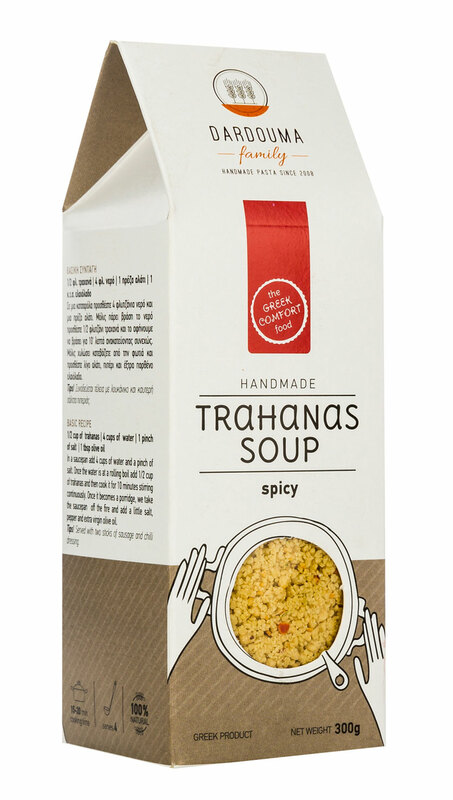 Trahana represents our national pasta! Try this little treasure of Greek cuisine, enjoying the flavor of fresh milk and wheat, either as a supplementary dish to a main course or as breakfast. Start your day fresh with a lot of energy!!!! 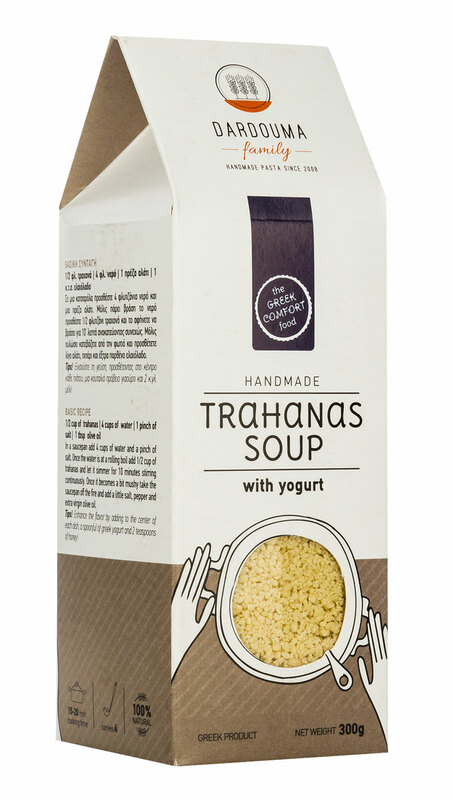 Trahanas with yoghurt was produced as a request made by all of you who do not like the smell and taste of sour. A mild taste with the flavour of homemade yogurt, the one we ate as young children in the village in the claypot with skin on top! The proteins in yoghurt are of high nutricial value, while their quality is superior! Try it and you will be pleasantly surprised! 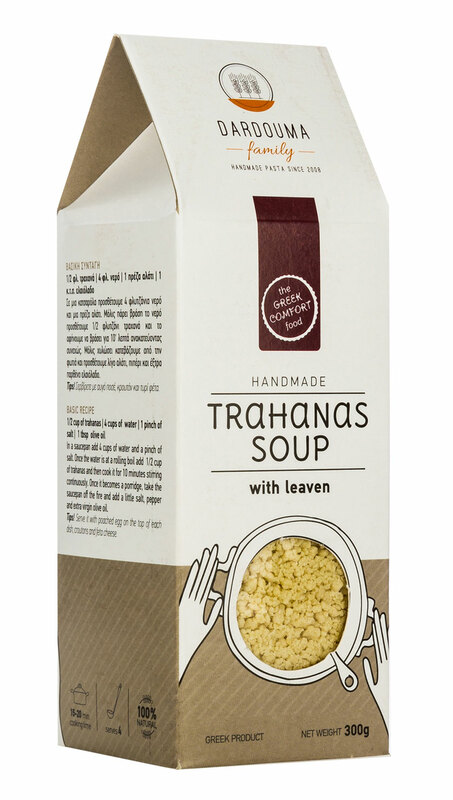 Yes , Trahanas made of leaven! This Trahana is more tasty and a food that offers relief from stomach ulcer. 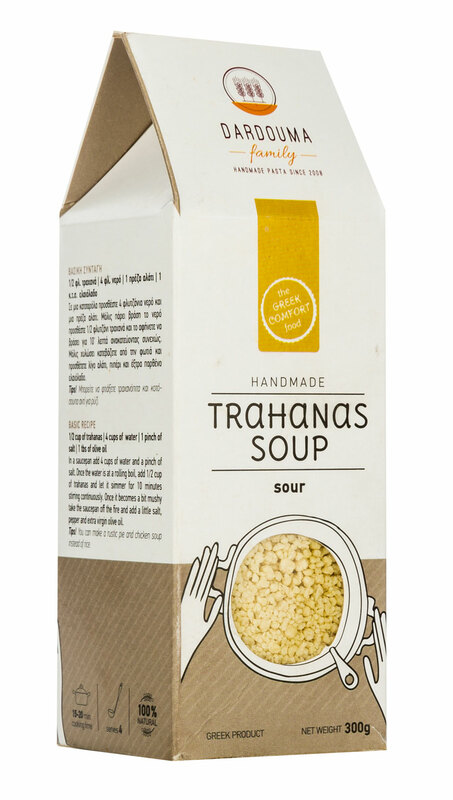 What’s more dreamy than a hot dish of Trahana soup made of leaven at the end of a difficult and stressful day! A diet ideal for vegetarians but not only for them . 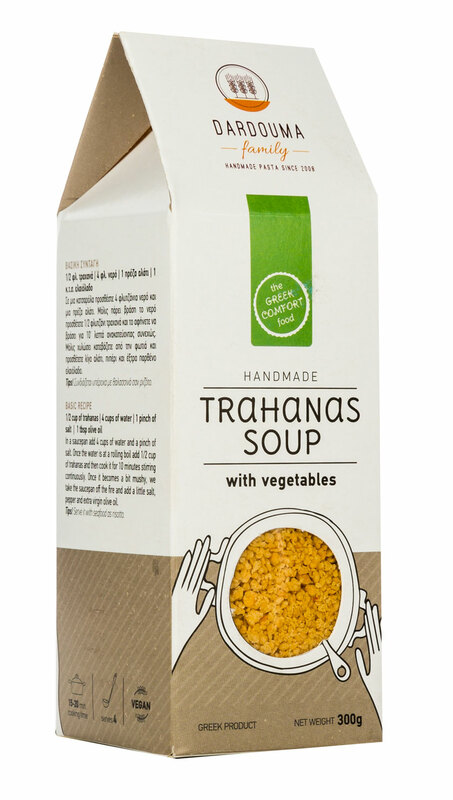 Trahanas made with fresh vegetables, rich in flavor, aroma and vitamin is cooked very easily and quickly either as a soup or as a vegetable or seafood risotto style! Excellent choice during fast. Ideal for cold winter nights with an unbelievable flavor and the taste of pepper ! To spice it up even more, add to the soup some red pepper flakes! Its taste is from another planet! Its beneficial properties are unique. 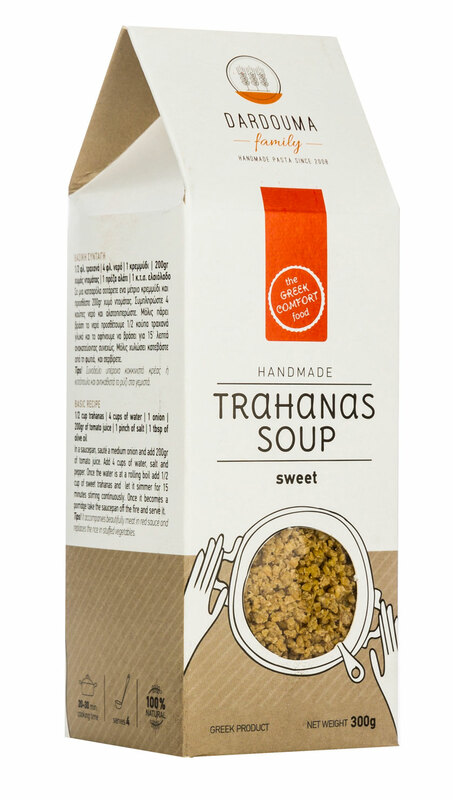 Sour Trahanas made of wholemeal flour is of high nutrional value because it is rich in fiber and a source of phosphorus and vitamins B1 and B6. A Nutritional value bomb ! 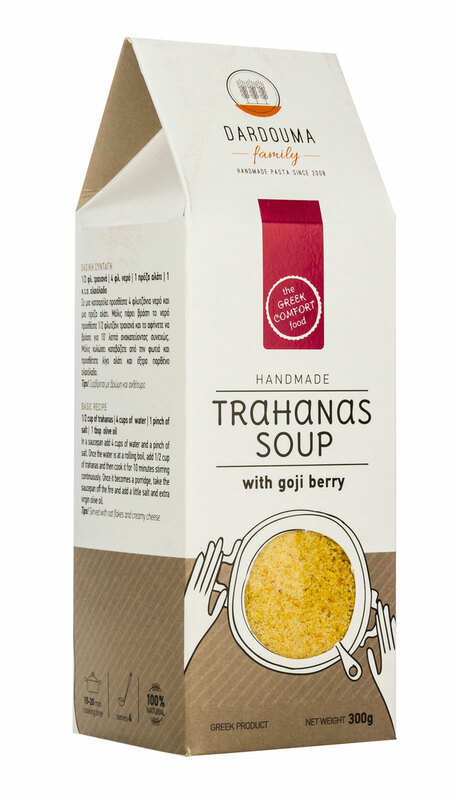 Sour Trahanas with Goji Berry fruit. The combination is innovative and the nutritional benefits are a lot and the fans are even more! 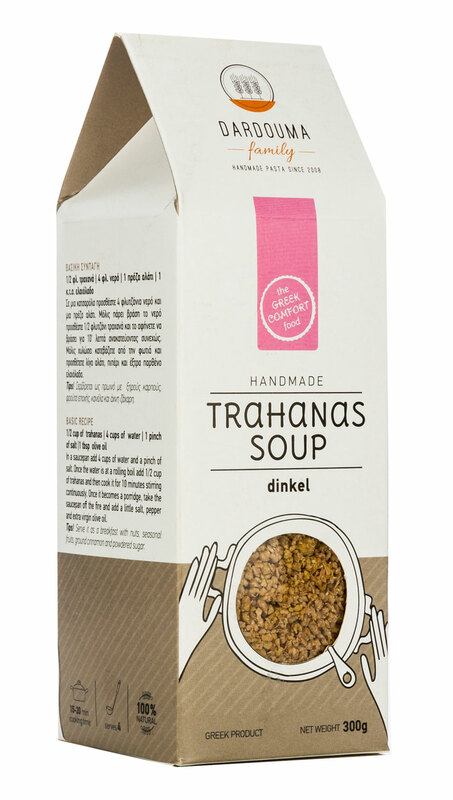 You will find it in specialized delicatessen shops along with all the rest of our handmade Trahana. 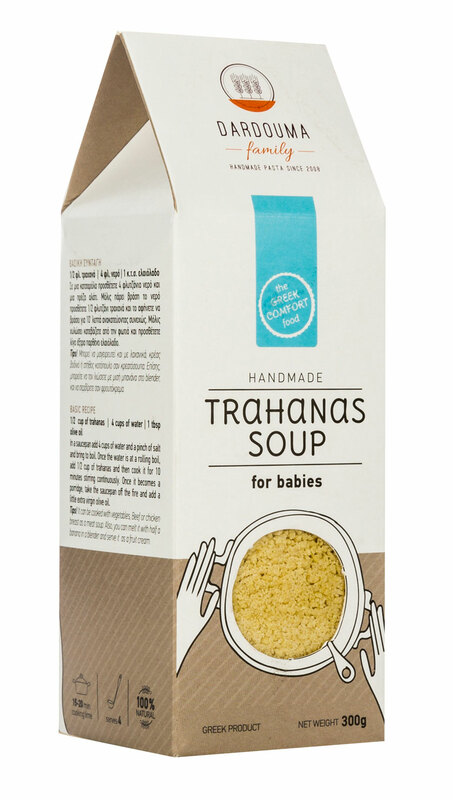 Babies’ Trahanas, a product that pediatricians recommend to new mothers. It replaces deservingly the industrialized commercial creams, providing the new generation with nutritionally rich meals ,free of preservatives. It is aimed at babies 6 months old and onwards! 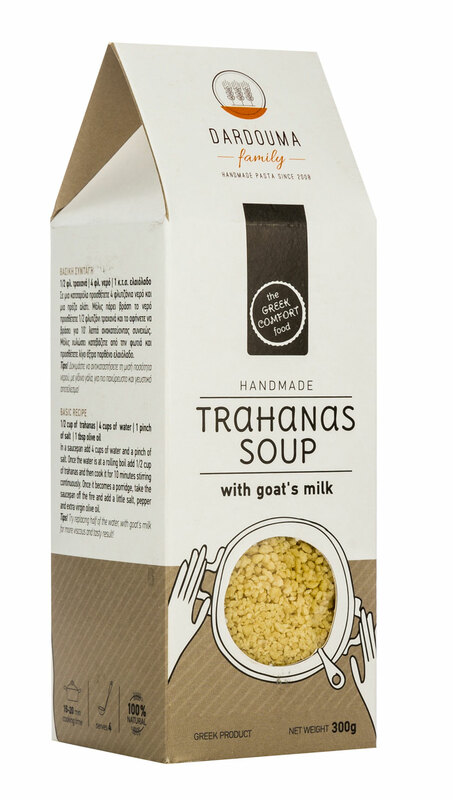 This Trahanas will excite you!!! Fresh goat’s milk adds extra flavor and it is an ideal choice for the young and the old as it has been scientifically proven to be the most beneficial milk for our health!